Oil on Canvas framed in hand finished moulding. 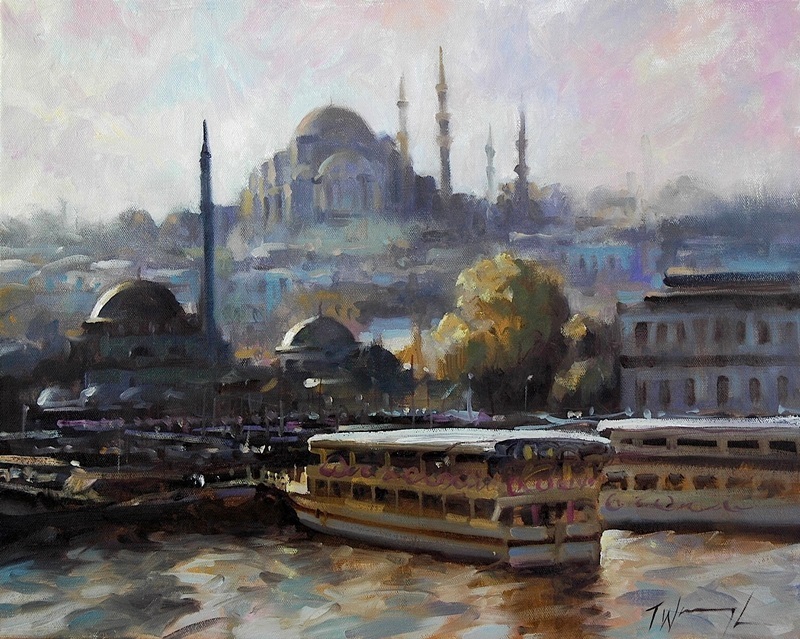 Ferries at Istanbul, by Trevor Waugh. 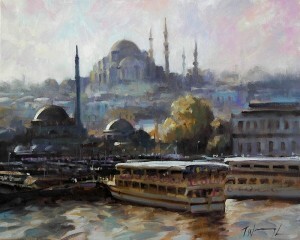 Oil painting on canvas executed in a loose impressionistic style.